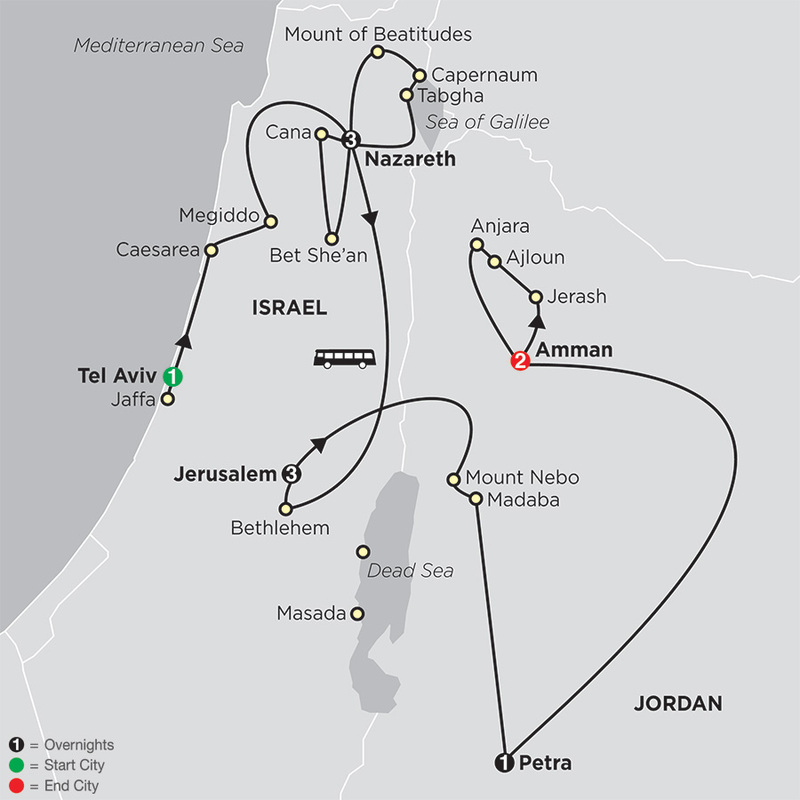 See the stories of the Scriptures come to life as you walk in the footsteps of Jesus on these faith-based journeys. In Israel, visit sites of biblical importance and hear the stories of the Bible told over time. Experience floating in the Dead Sea, wind down and prepare for the next highlight, Jordan. Discover Petra, one of the New 7 Wonders of the World ®; take the opportunity for prayer and reflection at Mount Nebo, and Bethany Beyond the Jordan, bringing you closer to your faith and, at the same time, appreciating a truly inspirational destination. Building fellowship and community among fellow travelers is just one of the ways to connect spiritually on this biblical tour of Israel. Experience the power of Scripture as it comes to life with memorable visits to Nazareth, Bethlehem, the Sea of Galilee and Jerusalem. Take time to meditate by the Garden Tomb and visit the Kaser-El-Yahud baptismal site.Jerusalem is dense with holy sites, tied to ...Read More. 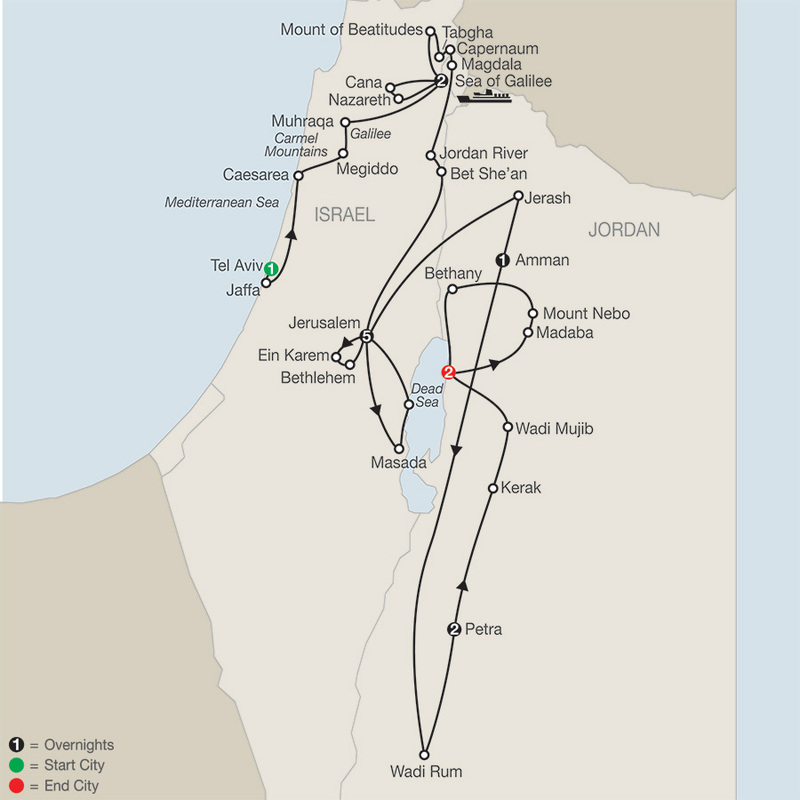 The roots of your faith will come to life on this extraordinary journey through the Holy Land. Follow in the footsteps of Jesus as you learn more about His life and ministry. Visit places of biblical importance like the Mount of Beatitudes or simply take time to reflect on a peaceful cruise on the Sea of Galilee. 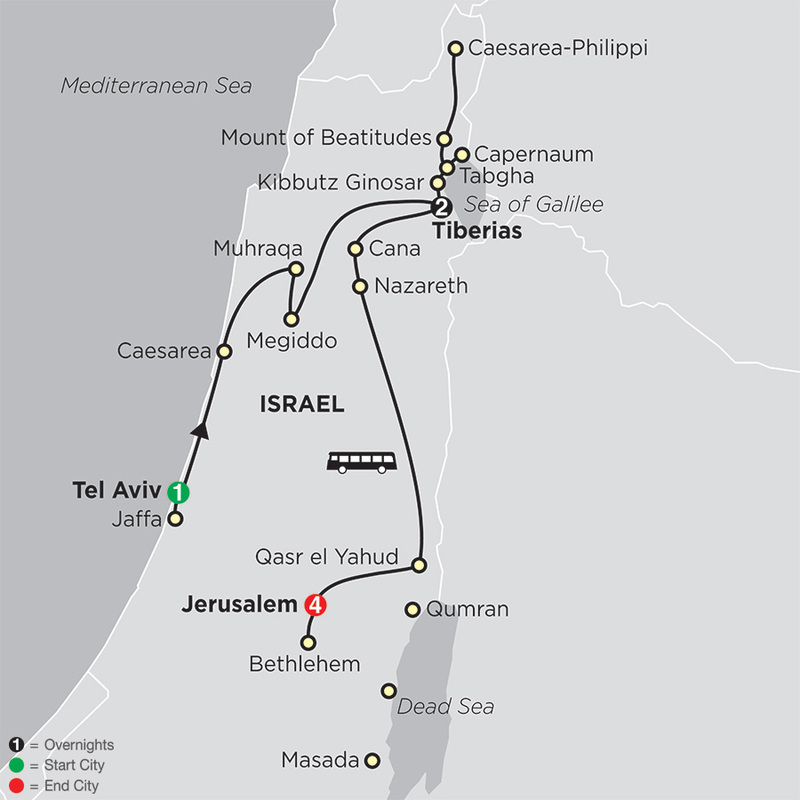 Spend time in Bethlehem and visit the Basilica of the Announciation, visit the ...Read More. 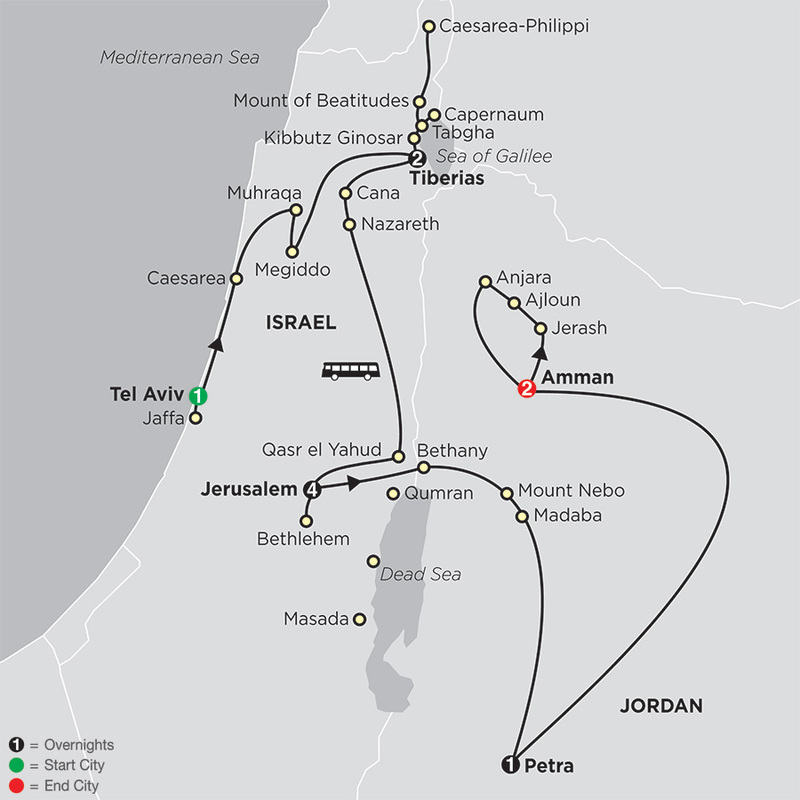 The roots of your faith will come to life on this extraordinary journey through the Holy Land. Follow in the footsteps of Jesus as you learn more about his life and ministry. To stand in the very places where history unfolded is a true highlight as you visit sites of biblical importance. 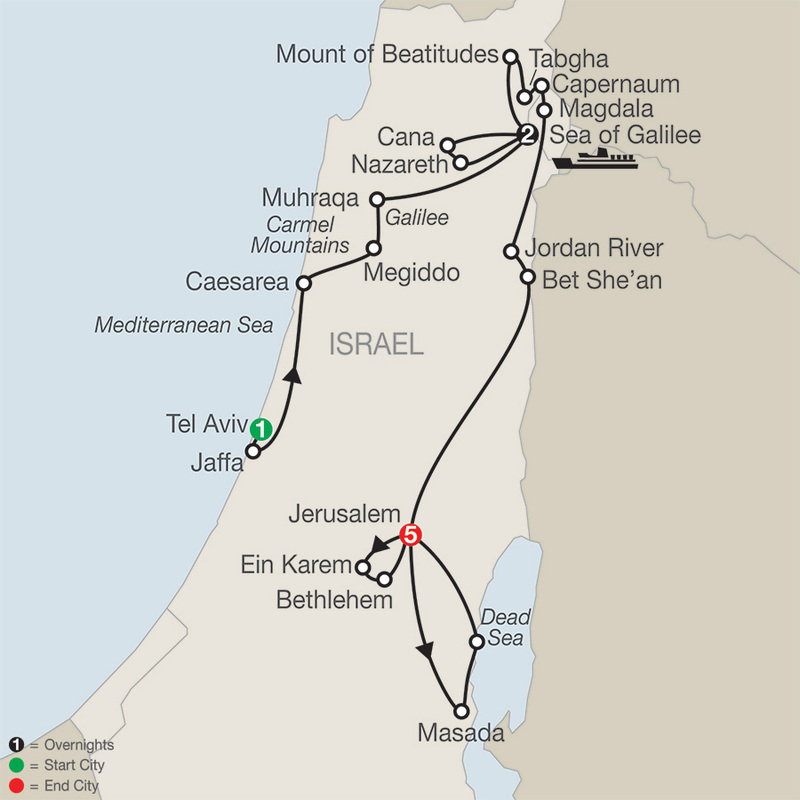 Bethlehem, Nazareth, Cana, the Sea of Galilee, the Mount of Beatitudes, the river Jordan, as well as Mount ...Read More. Building fellowship and community among fellow travelers is just one of the ways you’ll connect spiritually on this biblical tour of Israel and Jordan. 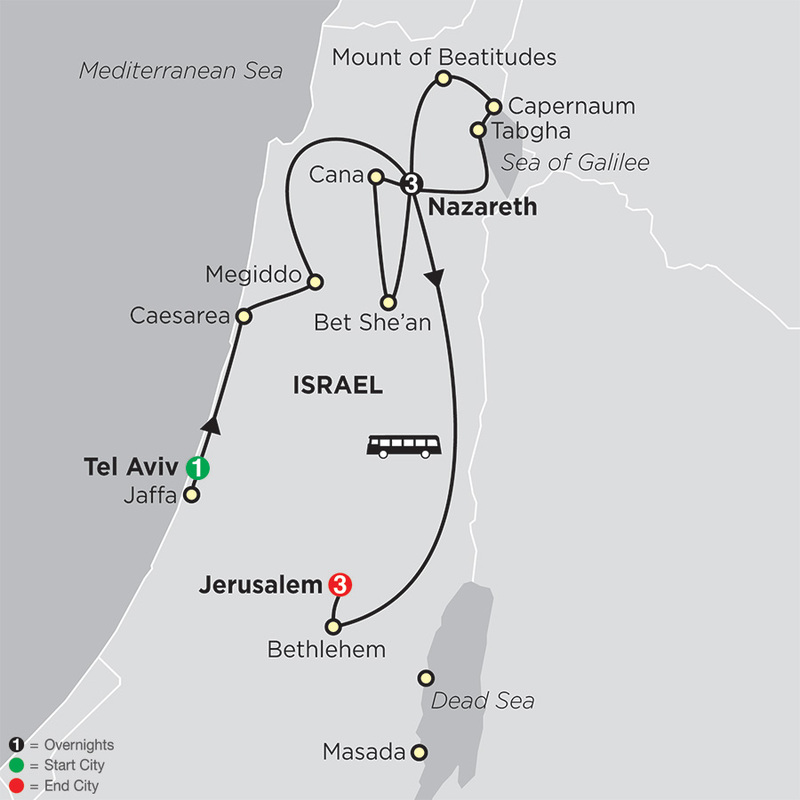 This journey will lead you in the footsteps of Jesus as you learn and hear stories about His ministry, His miracles and His life as well as included visits to some of the most cherished biblical sites. Along with key sites of biblical importance, ...Read More.